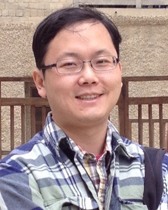 Jun Hu teaches courses in East Asian art history. His current research interest is the religious art and architecture of East Asia, particularly of the early medieval period. His dissertation, titled "Embracing the Circle: Domical Architecture in East Asia (c. 200-750 CE)," is the first in-depth study of the subject in any language. Through three discrete and yet related case studies, which range from Buddhist cave temples in Dunhuang, northwest China to timber buildings in Nara, Japan, it brings into sharp focus the changing expressions of religious impulse as reflected in the construction of domical spaces in China and Japan. Prior to his studies at Princeton, he received an MA in Sinology from the School of Oriental and Aftrican Studies, University of London, where he developed an interest in print culture. His next project, tentatively titled "Impressions of Modernity and the Rhetoric of Style," explores the role of mechanical replication in the development of painting practice and theory in seventeenth-century China and Japan. Review of Wei-cheng Lin, Building a Sacred Mountain: The Buddhist Architecture of China's Mount Wutai. Seattle: University of Washington Press, 2014. caa.reviews. September 2015. Translation (Japanese to English). Kawachi Yoshihiro and Kiyose Gisaburo. Introduction to Literary Manchu (Manshūgo bungo nyūmon 満州語文語入門), edited by Nicola Di Cosmo. Wiesbaden: Harrassowitz, forthcoming. Translation (English to Chinese), with Liu Yu-jen and Ch’iu Shih-hua. Craig Clunas. Elegant Debts: The Social Art of Wen Zhengming 雅債: 文 徵明的社交性藝術. Taipei: Rock Publishing International, 2009; Beijing: Sanlian chubanshe, 2012.